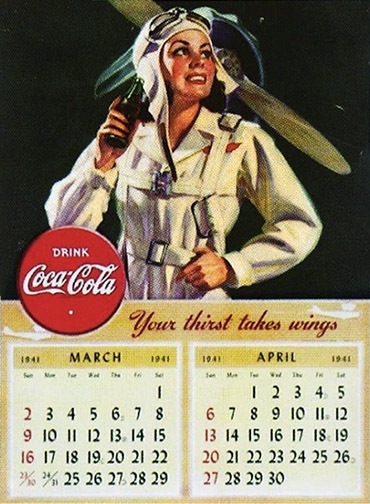 April 1941. 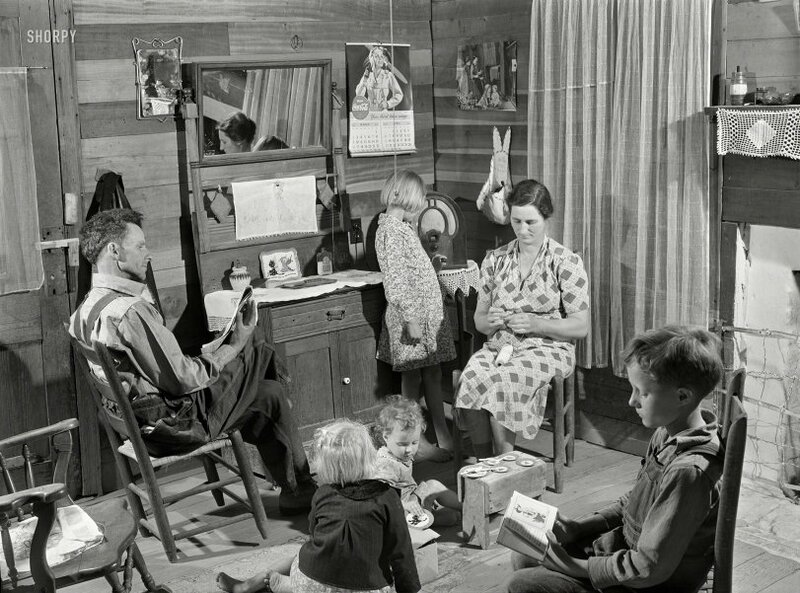 "Mr. and Mrs. Lemuel Smith and their younger children in their farm house, Carroll County, Georgia." Acetate negative by Jack Delano. View full size. Submitted by Ralph Kinney Ben... on Wed, 11/28/2018 - 12:12pm. I was a baby, less than a year old, when this picture was taken. But I was raised in a house a slight cut above this one (we had wallpaper on the walls and linoleum on the floors). We were happy without knowing quite what happiness was. The comfort, while spare, was comfort nonetheless. It was what we knew. The details in this photo bring back misty, nostalgic images: The cathedral radio on the drysink, the antimacassar pinned on the mantle, the cowboy storybook in the boy’s hands. The children with dreams in their heads. What roads did they all ultimately travel? Shorpy’s pictures are always worth at least a thousand words, and more that cannot be expressed. Thank you. Submitted by KathyRo on Sun, 11/25/2018 - 11:19pm. Too bad Mother Smith isn't far enough along with her crochet project that we can see what it is. My guess is she also made the doily hanging in the upper right hand corner. Submitted by deefer on Sat, 11/24/2018 - 9:23am. and TV didn't get a look-in. Submitted by theoeva on Fri, 11/23/2018 - 8:27pm. Evidence of Mrs. Smith talent for crocheting is under the radio, on the fireplace and on the washstand. She is starting another one right now. Submitted by damspot on Fri, 11/23/2018 - 3:38pm. Delano is always a photographer to stir my emotions. Among the best with a camera ever. But, he was doing particularly good work with these ideal subjects, wasn't he? Any more to go along with the first three? Submitted by Vintagetvs on Fri, 11/23/2018 - 3:32pm. Just wondering if anyone has calculated the percentage of photos on Shorpy that feature a Coca-Cola ad? Submitted by Alex on Fri, 11/23/2018 - 2:59pm.